Why instruct us as an Agent to manage your property? Property has been and no doubt always will be a popular investment choice. Many are either overwhelmed by the amount of legal requirements a Landlord faces or have experiences the many pitfalls of property letting and management. The numerous legal requirements are constantly changing and therefore it can be difficult to comply fully to ensure there is no breach and you have a valid Tenancy Agreement. We welcome business from Landlords with individual properties to Landlords with several properties and sometimes can offer a more attractive fee structure for higher quantities of properties. We advise on preparation of a property for rental and ensure all Landlords requirements and important factors to them are also taken into account with regard to their property and the service they require. We advise on a healthy obtainable monthly rent rather than quoting inflated rental to gain business which can cause the property to remain empty for longer losing income. By instructing us as an Agent the responsibility passes to us and we have a duty of care to the you as Landlord. We not only take the legal responsibilities but the round the clock point of contact for tenants, something which a lot of Landlords overlook with regard to how time consuming and problematic this can be. Our application, referencing and credit check process has been developed to give us every opportunity to select the best possible tenant for our clients. This is paramount and has a direct link to how the Tenancy runs, the property is maintained and rent is paid. There is always an element of unexpected circumstances and human behaviour which no level of referencing rules out completely but it is possible to minimise this to as small a risk as we can. 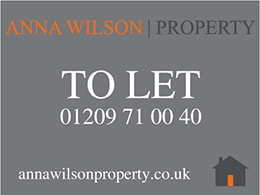 We don’t want to be another letting agent we want to gain and retain our clients for years to come. If the Tenant Find Only Service is required the Landlord will be responsible for all safety and legal requirements and the Landlord will be responsible for the deposit registration. We provide FREE market appraisals and I would be delighted to take a look at your property and discuss what your requirements are. Please click this link to request a call back or alternatively contact us via our email or contact page.